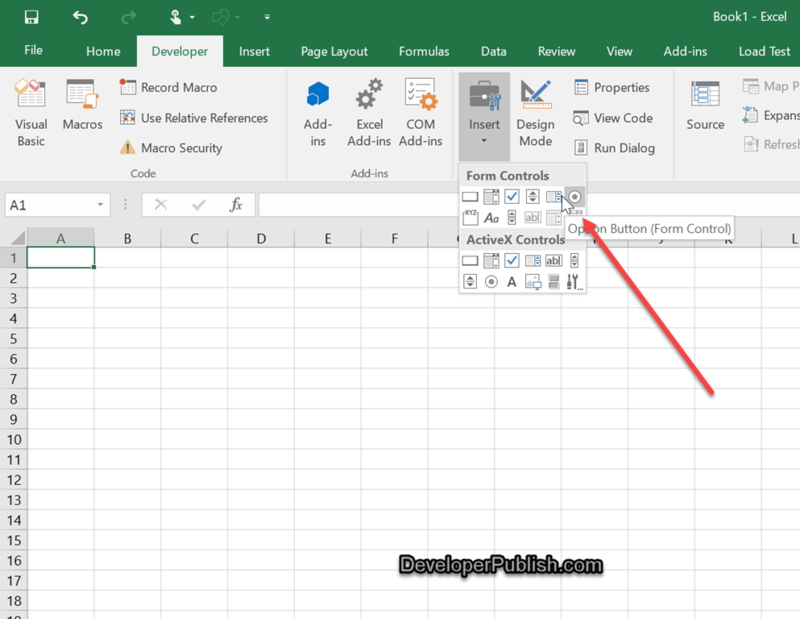 In Microsoft Excel 2016 , you can easily create or insert radio buttons in the worksheet using the Form Controls in the Developer Tab. 1. 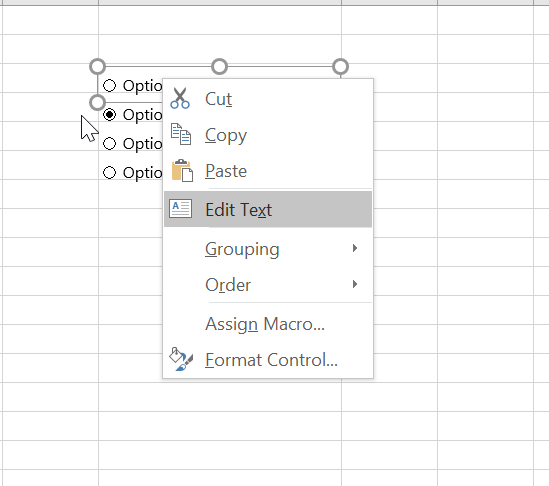 Open your worksheet in Microsoft Excel 2016 and navigate to Developer Tab and then select the Insert dropdown list under the “Controls” group. This will display the list of controls available. Select the radio button from the list. 2. Move the mouse on to the cell where you want the radio button to be inserted and draw or drop it. 3. 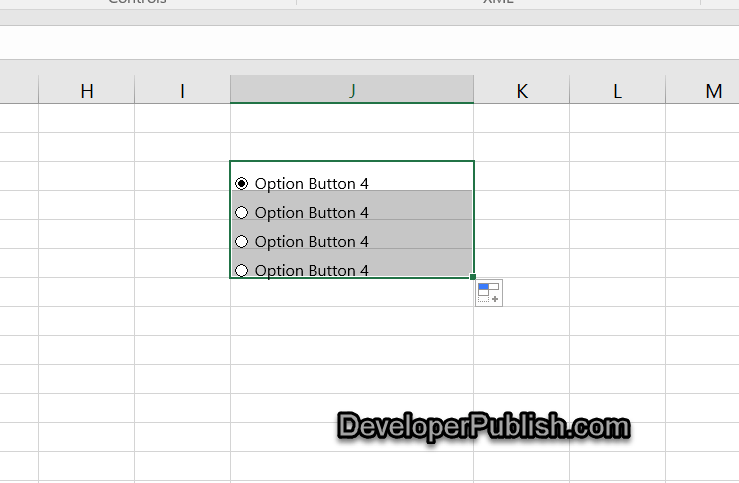 Select the cell and drag the Auto Fill Handle to the range of cells where you want the radio buttons to be displayed. 4. The Radio buttons should be inserted as per the needs. You can now modify the text for each radio buttons by right clicking on the cell and selecting “Edit Text” option from the context menu.